COLUMBUS, Ohio – December 3, 2018 – McNICHOLS CO. proudly announces the opening of its new Columbus, Ohio location – the company’s latest expansion of its coast-to-coast “Hole Network”. The Columbus Metals Service Center is located at 4740 Poth Road in Whitehall, Ohio, just east of downtown Columbus. Less than four miles from John Glenn International Airport, the new location allows McNICHOLS to better serve customers in Columbus, Cleveland, and Cincinnati, Ohio, in addition to Michigan, Eastern Indiana, Kentucky, Western Pennsylvania, and surrounding areas. The company was drawn to Ohio’s capital and largest city for a number of reasons. 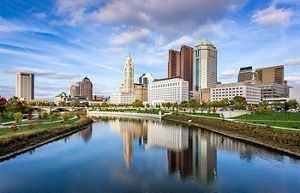 With a growing construction market, diverse economy, highly-educated workforce and centralized location, Columbus is an ideal position from which the company can continue providing the highest levels of service. At 52,000 square feet and equipped with the latest metal fabrication technology, the Columbus Metals Service Center is fully prepared to fulfill and ship orders as of December 3, 2018. In addition to having access to the largest inventory of Hole Products, Farley explains, “This new location offers a full array of Value-Added Services that includes cutting, shearing and welding to serve our customers’ Hole Products requirements.” These Value-Added Services are a key part of the company’s customer experience. 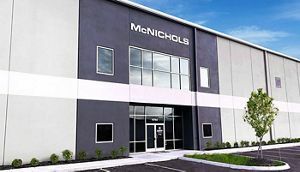 McNICHOLS, headquartered in Tampa, Florida, operates 19 Metals Service Centers strategically placed coast-to-coast with a dedicated staff and communication network in place to serve customers nationwide. The company has the logistics network needed to provide fast, efficient and exceptional service. Family-owned and founded in 1952, McNICHOLS was established on Christian values, high ethical standards and a strong commitment to customer satisfaction.